The uplifting conclusion of The Christmas List, a heart-warming account of the power of encouragement and appreciation, is based on a true story that circulated on the Internet. A nun told her fourth-grade students to write their names on a piece of paper and then pass the paper to the next person, who was to write a sentence of appreciation about the person named at the top. When the exercise was done, each student had twenty-four comments of admiration and appreciation - one from each classmate. 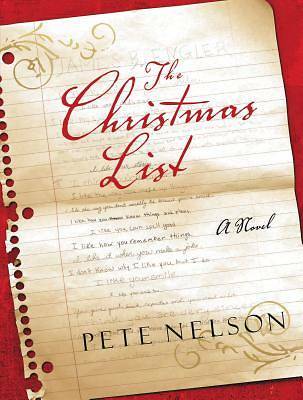 The Christmas List follows James Engler, who returns home to Iowa one Christmas, after his fiancee calls off their marriage, and discovers that his best childhood friend, Mike, has just been killed in the Gulf War. When Mike's parents reveal at a memorial service that Mike had carried his fourth-grade list with him, most of James's former classmates confess that they, too, kept their lists as a reminder, even in the worst of times, of their admirable traits and that they were appreciated. James also renews his acquaintance with his former classmate Sarah, who wrote on his list, "You are a great guy and some day I'm going to marry." And she does.